Many bikes have already been stripped to see what’s needed for the 2019 season but, for 7 riders, there’s still a huge competition to win, the 2018 Young Racer of the Year. Beginning tomorrow at Mondello Park, the 7 racers will be put through their paces at the Kildare circuit before being brought in front of the adjudicating panel for an interview and also to present their case on why they deserve the award. How riders deal with the media has never been more important due to level of social correspondence currently online and in print. How a racer engages with a free plug from a photographer or responds to a negative Facebook comment can be what draws a sponsor or indeed make one turn his back. Competitors need to be aware of the influence of social media and nothing is ever deleted from the internet. 22yr old Miltown Malbay rider Kevin competes in the Dunlop Masters championship after coming up from the Production Twins class. Kevin came 2nd in this year’s Cup Championship. 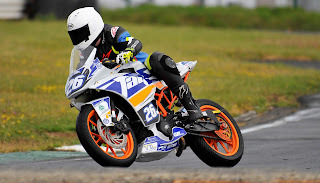 Another Co Clare native, Eoin finished just behind Baker in 3rd in the Supersport Cup championship. 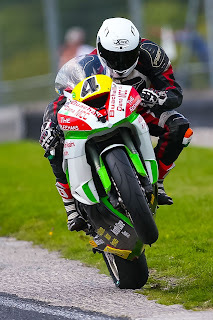 Eoin has also competed in the UK Thundersport series. 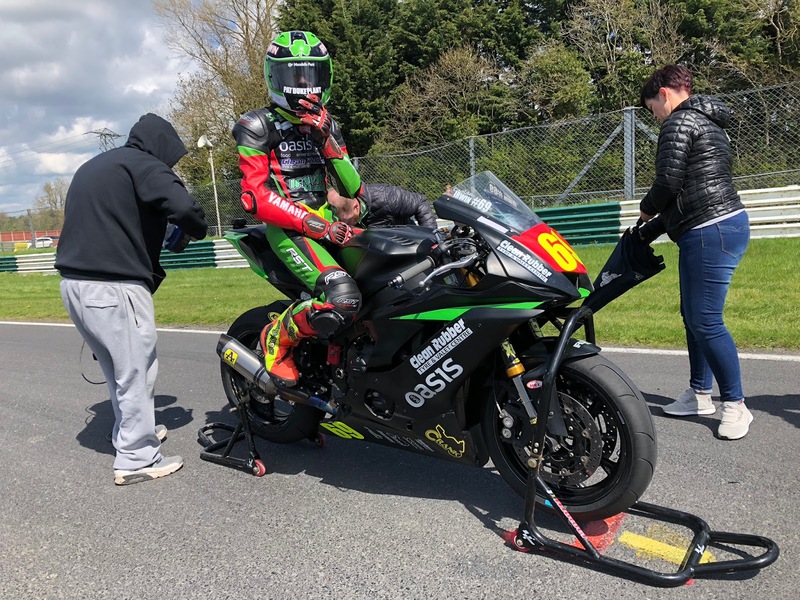 This year Aaron has taken the plunge and entered the R6 to the ultra competitive British Superbikes Pirelli National 600 Superstock paddock amassing points in his very first season. 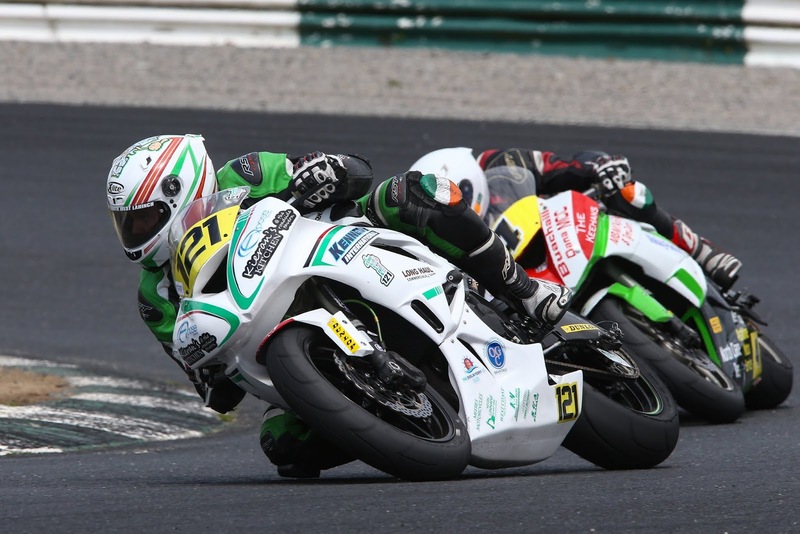 It’s been a rewarding year for Donegal’s Caolán Irwin since he picked up his 2018 R6 and entered the Pirelli National 600 Superstock championship. Along the way he has stood on the podium as well as picking up his first Dunlop Masters Supersport wins when not in the UK. 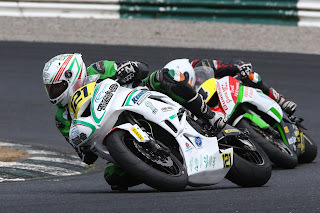 Competing in the Dunlop Masters Junior Cup series on his Kawasaki Jamie Lyons had an unforgettable season winning every race he entered. When the championship had ended, Lyons had banked 500 points from his 20 races. Nathan McGauran finished this year 2nd place in his category. Building on his experience from the Young Guns series, next season looks very promising for McGauran in whatever competition he embarks on. 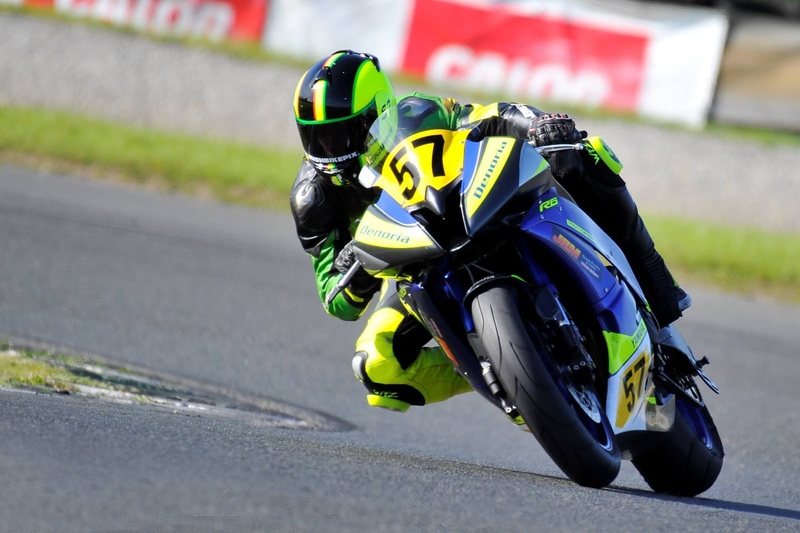 October’s nominee Michael Owens began the year in the Junior Cup before landing a seat on a Supersport Yamaha R6 towards the end of the season. He justified the gamble with some excellent results including a Supersport Cup podium.